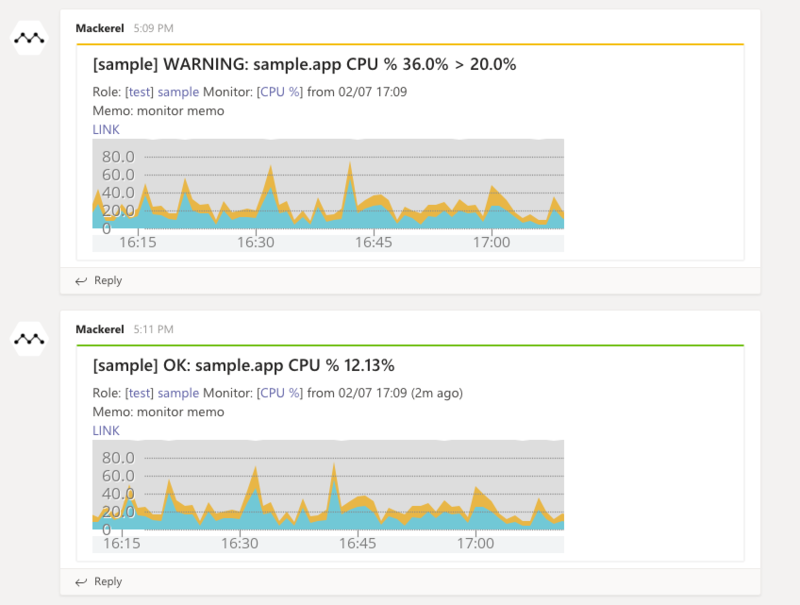 Microsoft Teams is the hub for teamwork in Office 365. 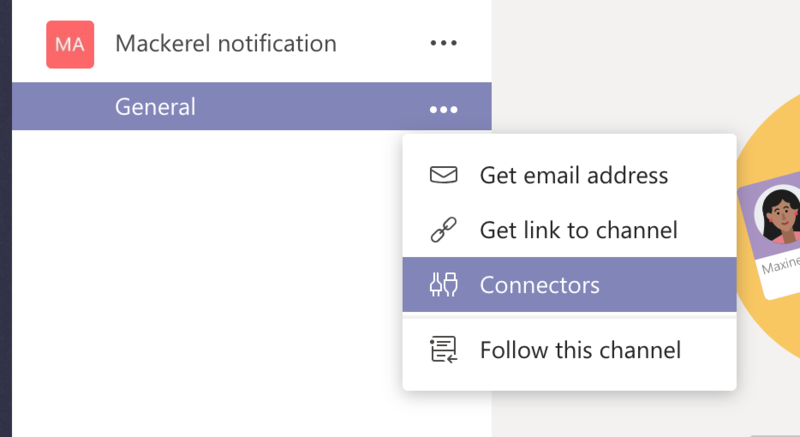 Using the Microsoft Teams notification channel, you can send alert notifications from Mackerel to the Microsoft Teams channel. 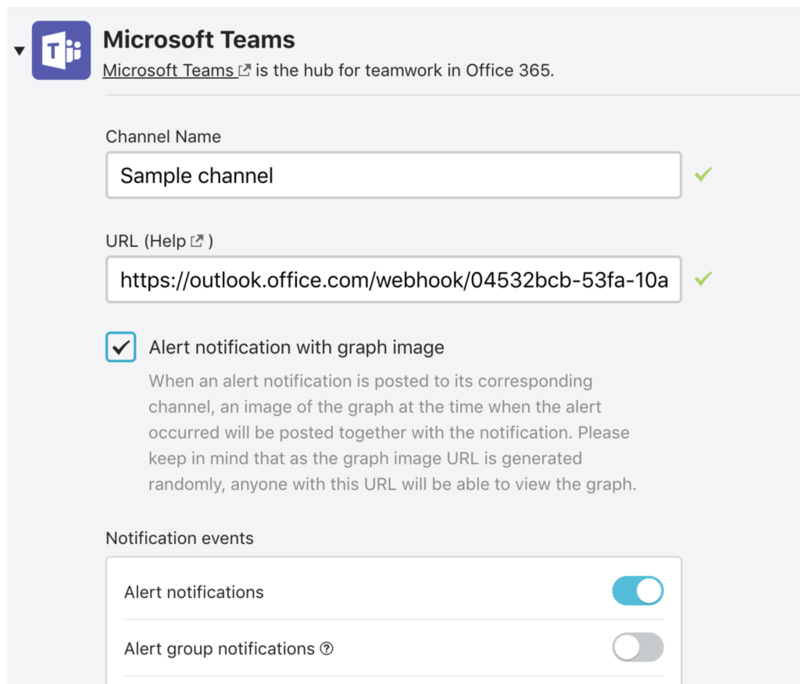 Click on the Microsoft Teams channel connector and create an Incoming Webhook. Use the Brand Assets PNG image to customize the image. 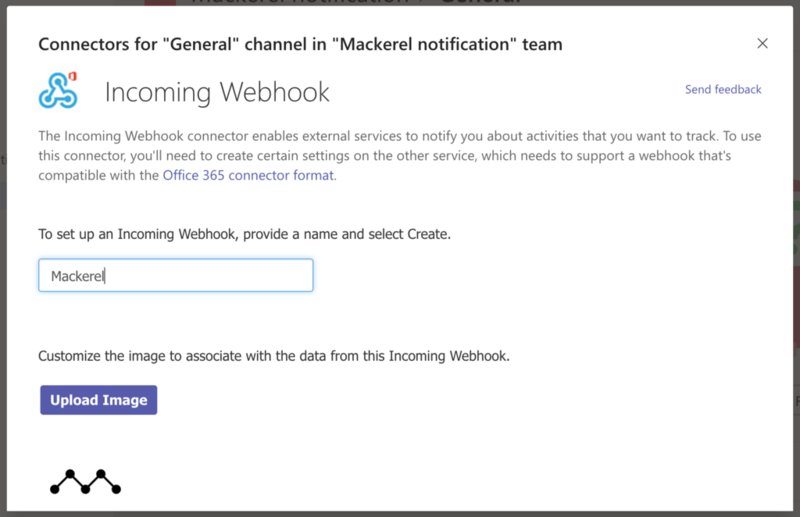 Specify the generated URL in the Mackerel Settings screen and create the channel. Confirm by sending a test notification. When an alert occurs, notifications will be sent in the following manner.